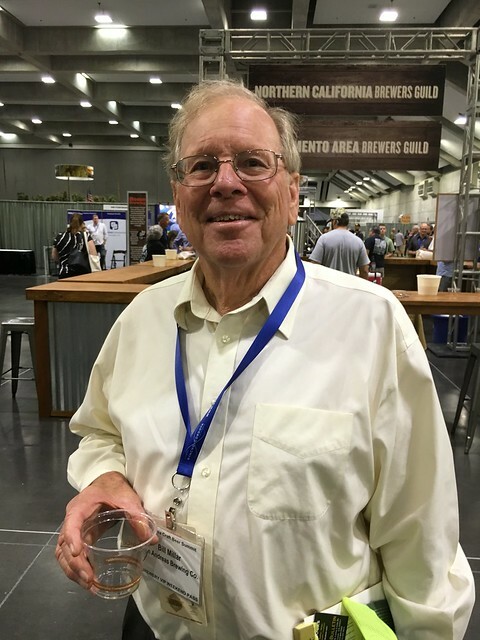 Today is the 76th birthday of Bill Millar, who founded the San Andreas Brewing Co. in Hollister, California, and he also has the distinction of giving Mitch Steele his first brewing gig. San Andreas was started in 1988, and I visited it not too long thereafter, as I was living not to far away, in San Jose, at the time. 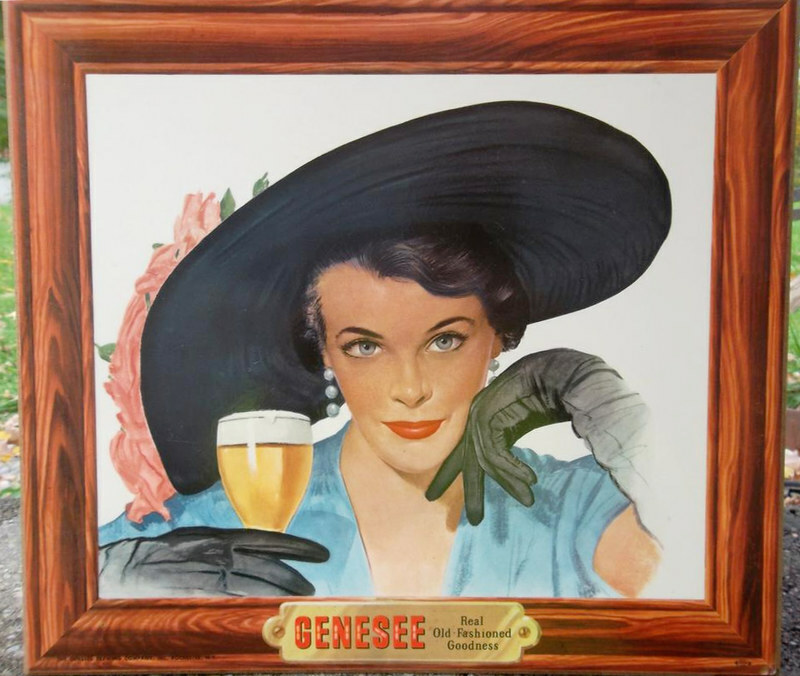 I was a big fan of their Cranberry Ale for the holidays, and Bill was kind enough to keg some for me each year, for a few years in the early 90s, for the holiday party that I used to throw. I’d drive down to Hollister to pick it up, and then return the empty keg a few days later. The brewery is closed now, sadly, though I’m not sure when exactly is stopped brewing. Join me in wishing Bill a very happy birthday. 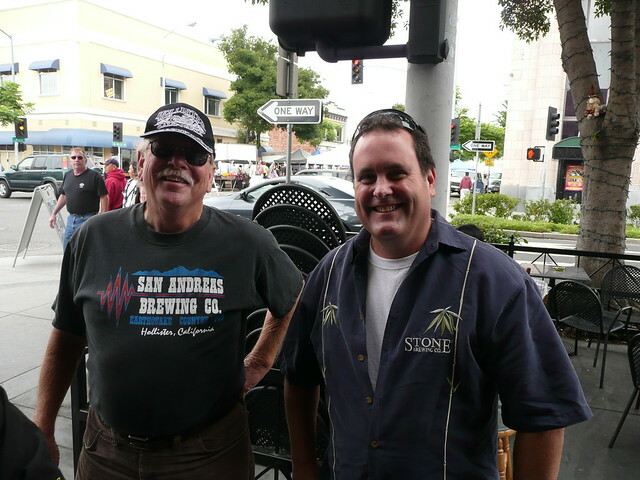 Bill with Mitch Steele, at the Bistro IPA Festival in 2007. Bill at the CSBA Beer Summit two years ago.